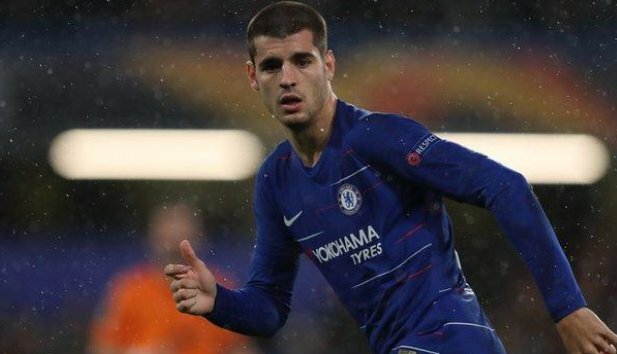 Chelsea striker Alvaro Morata has reportedly finalised a move to the Spanish outfit Atletico Madrid. The report suggests that a deal will be officially announced on Monday, with the Spaniard looks set for a move back to Madrid after his time at Real. The 26-year-old forward left out of the Blues’ match-day squad for their last three games, has been in talks with the Spanish club for the past week. After enduring a difficult year at the west London, Gazzetta dello Sport reporter Nicolo Schira claims that Morata has finally been granted a move away from Stamford Bridge. Atletico have reached a loan agreement with Chelsea and can make that into a permanent transfer in the summer for a fee of €55million. Meanwhile, the Premier League outfit are also expected to announce the arrival of Gonzalo Higuain from Juventus as Morata’s replacement.